Conviction can be uncomfortable and yes discouraging, but it is necessary, and I truly believe we should be grateful for the Lord’s conviction in our hearts. This week a verse we read in our Reading Through the Bible plan reminded me of this. And so I’m praying about it. 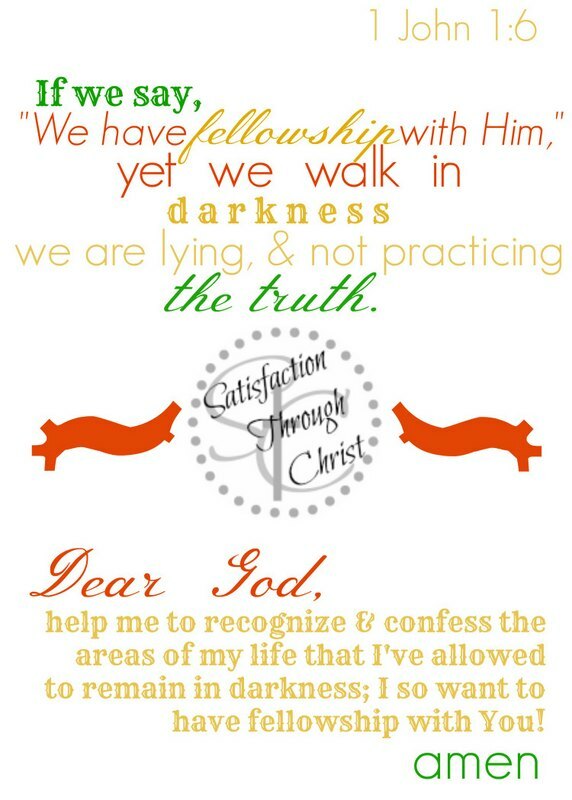 Sundays are also our weekly prayer day here at the blog! Would you pray with us? 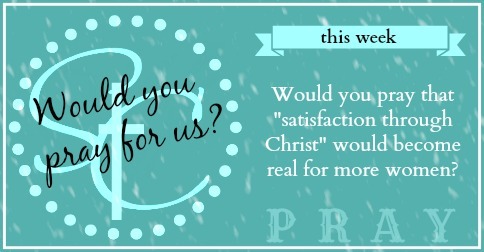 Satisfaction Through Christ is so grateful to all who are joining us for our eleventh weekly blog prayer! 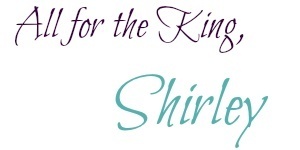 Keep up with the reading through the Bible plan at the Good Morning Girls page of Women Living Well!